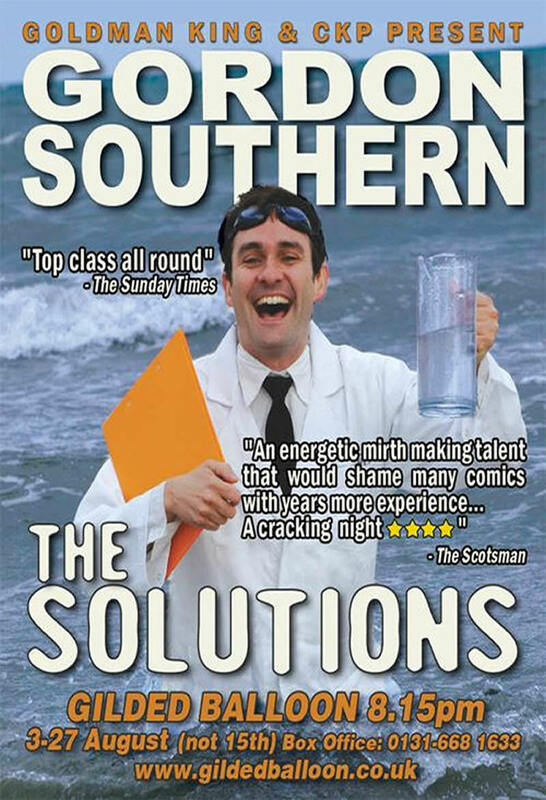 Now an established favourite all over the world, direct from the Dubai, Adelaide and Melbourne comedy festivals, Gordon’s new show will provide comedy solutions for all your problems and puzzles. How to humanely rid your home of a mouse, survive a knife attack from a pair of South London teenagers, fill in a crossword and other pleasant time wasting activities will be given the solutions treatment. There will also be grander ruminations on love happiness, commitment, plus the big one, whether or not there is a God.